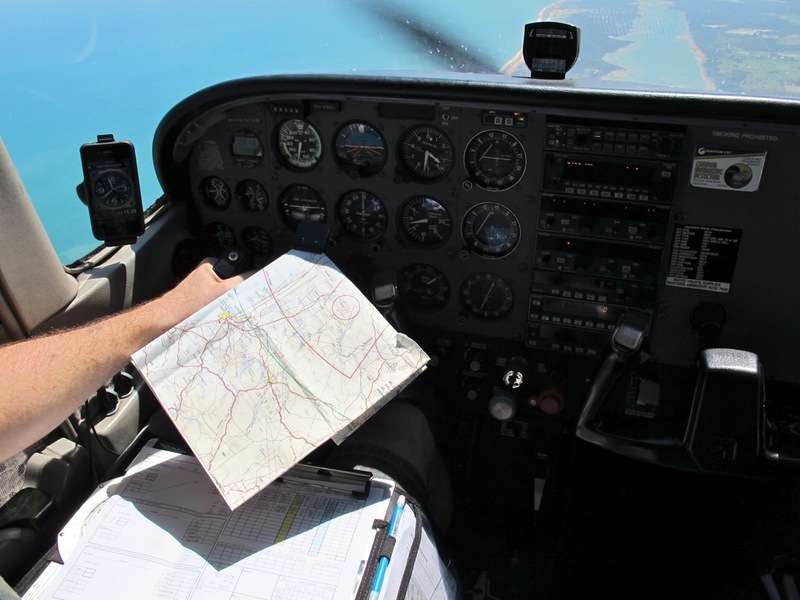 There are a few highlights which every student pilot experiences on their journey to become a licensed private pilot. 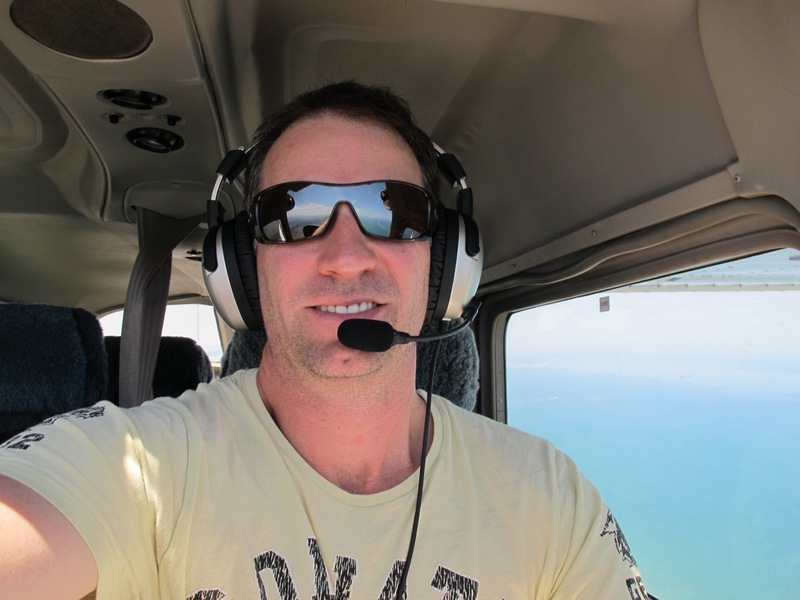 The First Solo is huge, the Area Solo is amazing and of course the first Navigation Solo! This is the one where you are given permission to leave the safety of the airfield training area and venture into the unknown, alone! The day had come for me, but its wasn’t all smooth flying by any stretch, the strong turbulent winds attempted to claimed a victum, not once but several times! The day started out that bit different from every other training flight. The excitement was there, but it was also accompanied by a strong feeling of apprehension. Having read the area forecast before heading off, it disclosed what I would be up against. It said there would be medium turbulence below 3000 feet and strong gusting winds in the afternoon. I could already tell the conditions weren’t going to be that fantastic, but having had such a long road to getting to this point, I was determined to get on with it. My instructor was a little late, but that didn’t matter today. He had already used all of his influence on how the day was going to turn out, through the lessons and training he’d given me over the previous little while. Today it was all in my hands. To get things started, I printed off the latest forecasts and got myself deep into the pre-flight planning. Having prepared the charts the previous night, I was left only to apply the weather conditions and submit the flight plan. Preparing the plane was as per the usual routine. Full tanks of fuel and everything look pretty straight. Then came the hitch. The oil level was on the minimum at 6 quarts and there was not a single bottle of oil anywhere in the hangar. Only mineral oil used during the run in of new engines. On advice from the maintenance engineers they cleared using the mineral oil. The plane had only 4 hours left before it’s 100 hourly maintenance, which would see the oil being changed anyway. Wilson arrived and checkoff the Maintenance Release and gave me the pre-requisite pep talk. I don’t know if really any of it sunk in, I was pretty focused on the task at hand. 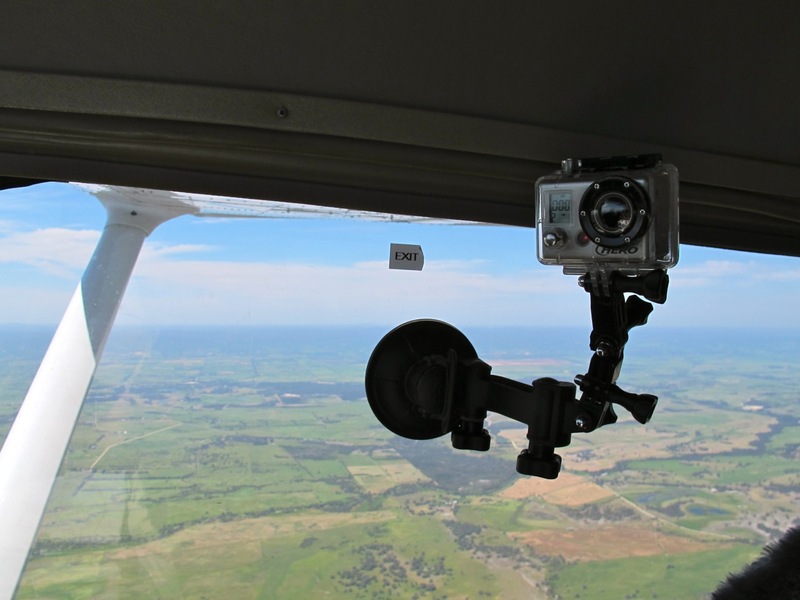 By the time he’d finished, I’d pretty much visualised every stage of the flight, the radio calls and even how I was going to join the Bunbury circuit. Finally before I headed off, Wilson insisted I install the Google Altitude application on my iPad. That was it could continually broadcast my position and let him track how I was going. That done, it was time to go. After firing up, the Jandkot ATIS reminded me about the weather conditions. Medium turbulence in the circuit and cross winds at 12 knots. At this point I was feeling rather nervous, but also feeling confident that I’d do ok. I wanted to navigate accurately to Boddington and fly the route as planned. However at the end of the day, if I was to get lost, all I would have to do it turn west, fly back to the coast and then track home to the north from there. The next 6 minutes were to be the first of two major moments in the flight. 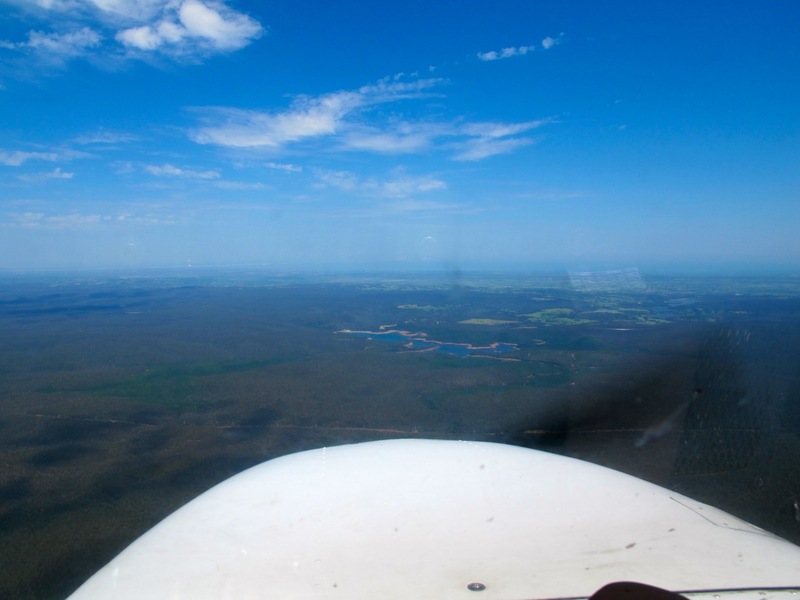 After turning right towards Armadale and climbing to 1000 feet for the Jandakot departure, the turbulence was very evident. It was probably similar to driving across a bumpy paddock at 100kmh in a car, not much fun. 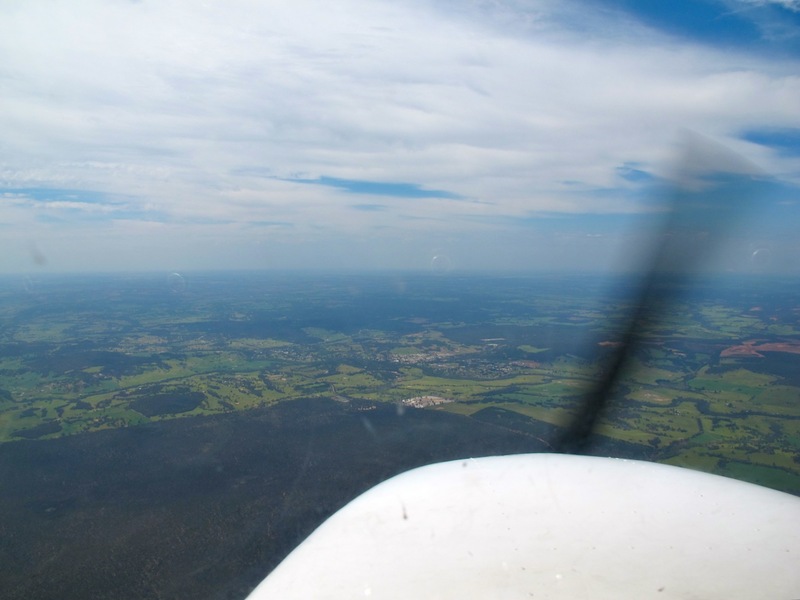 Crossing out of Jandakot airspace and about to commence the climb out over Armadale a more than medium turbulent pocket of air gave me a right jolt. Hitting my head on the roof was the outcome, leaving me feeling more pressure. It did cross my mind at this point to turn South and return to Jandakot via Forrestdale Lake. Although feeling a lot like a vodka martini, I went with it and got on with the job at hand, navigating to Boddington. 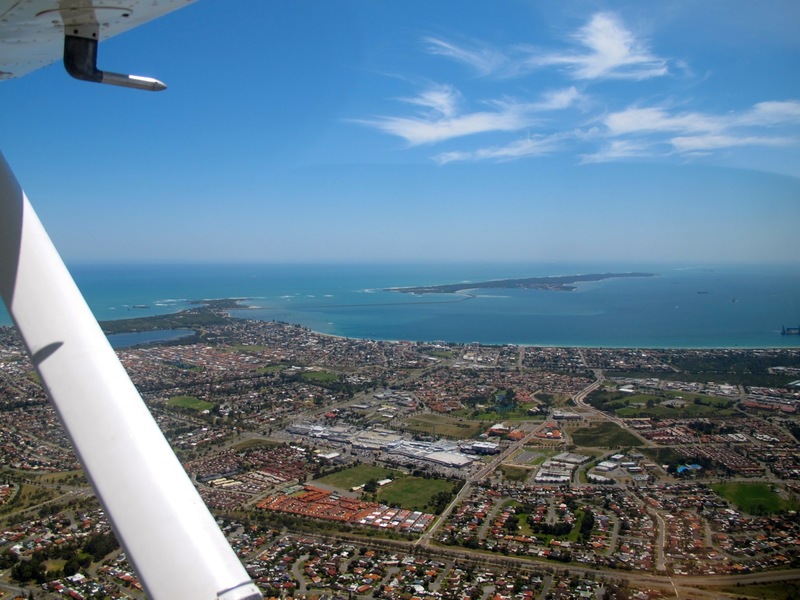 “Perth Centre, Cessna 172 Victa Mike Hotel is at Armadale two thousand three hundred feet on climb to five thousand five hundred tracking to Boddington, request traffic and flight following”. “Victa Mike Hotel, Perth Centre Identified, traffic is three miles to your one o’clock at two thousand five hundred, appears to be on decent to the west, flight following approved”. I’m sure he was thinking this muppet doesn’t need flight following, there is no other traffic. It was actually part of my plan to get myself a positive fix as I exited the boundary of Perth Radar. “Victa Mike Hotel, Perth Centre, you are leaving my control area, there is no other traffic, frequency change approved, identification terminated”. “Perth Centre, Victa Mike Hotel, thank you, request DME from Perth”. “Victa Mike Hotel, Perth Centre, you are on heading one four niner degrees at thirty four miles, identification terminated”. Sweet, a positive fix and it had me pretty much exactly on my planned track. This was a little trick I’d learnt from listening to radio comms between Perth Centre and an air survey aircraft operating just north of Perth in the week before this flight. I’d pre-drawn not only the Armadale to Boddington track, but also the Perth track so I could validate the position without having to rule it inflight. 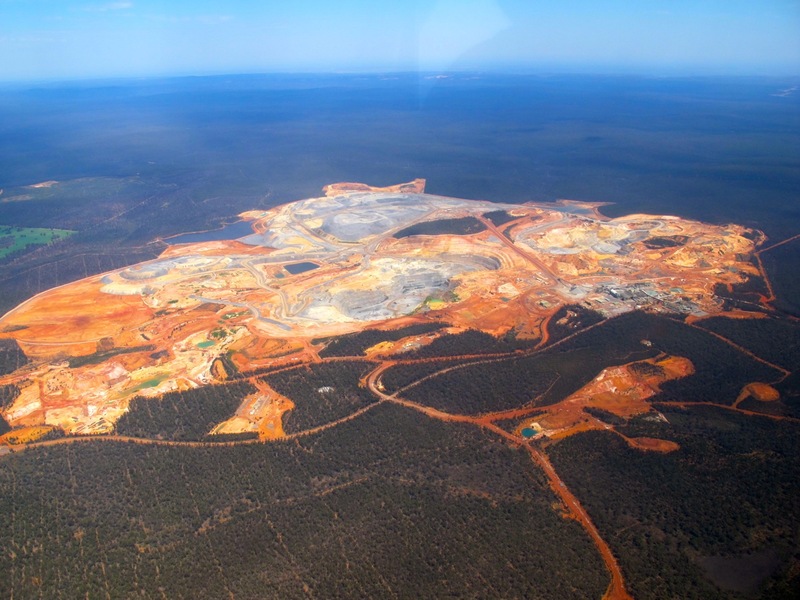 Within minutes anyway, the huge Boddington mine came into view and I had visual on Boddington township. Also by this point at 5500 feet, the turbulence was all but gone. With Boddington ending up being no problem, it was now Bunbury. I was pretty sure this leg would be pretty straight forward too as there are a significant number of huge features long the way. Just little things like a dam, a mine, huge power lines and of course the coast visible in the distance. This leg was very relaxing and a good time to practice the various navigation skills, such as dead reckoning, 1 in 60’s and how I’d perform a lost procedure. 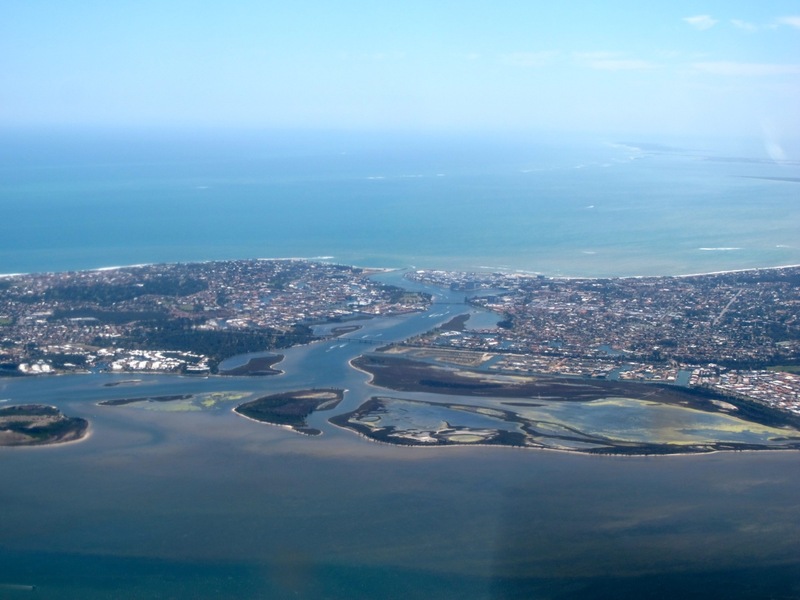 While descending into Bunbury, the airfield was pretty easy to locate. Having flown in as a passenger with the JATA mob (they sound like a gang) and once with my instructor, I’ve learnt to locate it. Listening in on the CTAF (airport) frequency, there were two other aircraft already in the circuit. Sweet, its runway 07 and I’m going to join the circuit downwind, rather than an overhead join. I slotted in nicely behind the two existing aircraft, put in my downwind call and did the landing checks. Sweet! As for the flying bit, there was some turbulence and a gusty wind from the right. The Bunbury airport traffic was fairly dynamic. In the 40 minutes I remained in the circuit, there were 9 other aircraft which either arrived, departed or transited through. While flying the circuits in non-controlled aerodromes, you learn 10 times more than you ever could on paper or in the classroom. Everything I’d read, practiced was cemented during this short period. It became more second nature and I was focusing more on the flying and spatial awareness, rather than having to worry about what was the next radio call. The only thing that was a little bit of a challenge was a Mooney which joined the circuit from the South. He joined with a mid-field crosswind join and turned onto the downwind leg. He did it right as I’d just made my downwind call, meaning he pushed in and left me literally chopping his tail. He was very apologetic and offered to do a right orbit to get out of the way. It was fine, I just slowed down and let his higher performance aircraft pull away. On landing he very quickly exited the runway and once again said thanks. Although I was a bit pissed with him at first, he redeemed himself pretty quickly. Damn Mooney pilots! The turbulence was not easing as I climbed higher. Even at 4500 feet it was like driving across that bumpy paddock yet again. The respite was the simplicity of navigating along the coast. It was a good view and absolutely straight forward. At my first ten minute marker near Myalup, I was well short, approximately 5 miles. I put it down to the climb, however the second ten minute marker for Preston Beach came up and I was going to be a good four minutes shy of my revised estimate. With a quick re-calc on the flight computer, the headwind was around 10 knots stronger than predicted. I revised my remaining ETAs right through to Jandkot, making the leg nearly fifteen minutes longer than original planned! T he turbulence continued so I decided once again to just ignore it and this time enjoy the views. It was pretty hazy, but the visibility was still great and the views awesome. I was impressed with some of the houses nestled in the dunes along the coast past Lake Clifton. With the ridiculously strong headwind, the leg from Bunbury to Jandakot was going to take 71 minutes, which is completely nuts. Even those super cool Mooney dudes would have taken an hour. While nearing the southern end of the Peel Inlet, I tuned in to the Jandakot ATIS to get the arrival information. In some ways I wish I didn’t, the 22 knots maximum cross-wind got my attention pretty quickly. From that point, the anxiety rose. It reminded me of a conversation I overheard earlier in the day, where the owner of “VH-NMN” was spruking his skill of landing the identical Cessna to this in 40 knots of cross wind. VMH is demonstrated in 12 knots of cross-wind, but I’ve done 16 knots at Rottnest in a 152. I was having to convince myself it would be all good and that I could always go around and try again if needed. At Mandurah I contacted Perth Centre to ask about traffic. He said there wasn’t any. Great, nobody else is stupid enough to be up at the moment. However minutes later one of the familiar kiwi accents of the Air Australia aero pilots came across with the usual, “we’ll be conducting aerobatics between 3000 and 5000 feet…”. Ok, there is somebody else, cool. By the time I got to Rockingham, the joy flight passenger must have had the sick bag handy and they were heading back in. Perth Centre advised us both of the proximity and I followed him in. At 1500 feet at boat yard the turbulence was at least as strong when I’d departed a few hours earlier. I just followed the Robin in front and we joined base for runway 24 left. He went in and made the landing look pretty easy, it was now my turn. I remember being very busy on the controls on approach. It wasn’t your typical cross wind landing where you’d crab in and then side slip to the runway. The wind was really gusting, it was turbulent and all that meant you had to be extra active on the controls. You’d lean into the wind and find that a big gust would kick you over, or it would ease and you’d fall into it. With about 2 miles left to run and well established on finals, I was feeling a bit more confident. It was just a case of try and crab, compensate and on late finals side slip and compensate. In the flare, we side slipped down and put the left wheel firmly on the ground before bringing the others firmly down as well. The relief was grand! 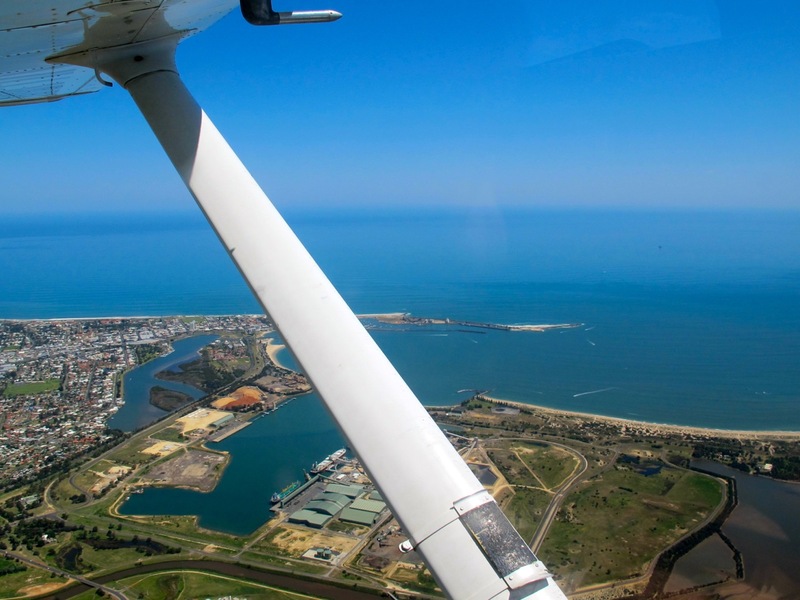 This entry was posted in Circuits, Crosswind, Jandakot, map, Navigation, Pilot License, Solo and tagged Aerial photos, Boddington, Bunbury, Cessna 172, Circuits, extremem crosswind landing, GoPro HD hero, Jandakot, solo flight, turbulence, VFR navigation, VH-VMH, YBUN, YPJT. Bookmark the permalink. A good read mate. Always a timely reminder of how strong those x-winds can be at this time of year. Something even RPT’s come to terms with (or not) regularly in Perth summer. Some fantastic photos as always. Great read mate, i’m one nav off solo 🙂 Looking forward to it is an understatement!! Well done, love the pics, got video from your gopro? The usual Gangsta performance, both written and flown, Birdman – Respect! !